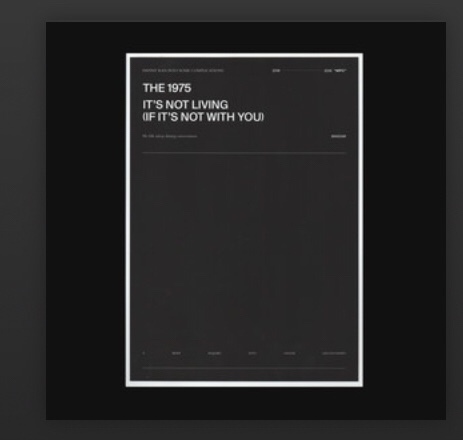 The 1975 – It’s Not Living (If It’s Not With You). The 1975 share a brand new song called It’s Not Living (If It’s Not With You). It’s Not Living (If It’s Not With You),” which is built around the imagery of veins collapsing. “Collapse my veins wearing beautiful shoes/ It’s not living if it’s not with you,” Healy sings in the chorus.